A flatter is a common blacksmithing tool used by blacksmiths to flatten steel or iron. Usually, the flatter is 5 inches wide, attached to a wooden handle and the kind of iron is usually harder than the iron used for projects such as a medium carbon iron. It is an essential tool as the process of steelwork is heavily dependent on flatting and shaping. 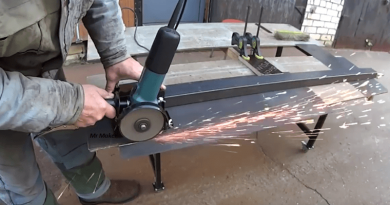 In this video, it will be demonstrated how to make your own blacksmith flatter tool using scrap medium carbon iron block. It is 1 inch thick. The creator already punched and drifted round holes on the block, in which metal rods will be inserted to act as a handle. The rods were forged for the blacksmith to achieve his desired shape and for them to stick better on the block. The two rods were twisted together for a few inches and the remaining straight inches were stuck together. Watch the video to see the whole process and start creating your own flatter tool! Move on to the Next Page video: Blacksmith Flatter. 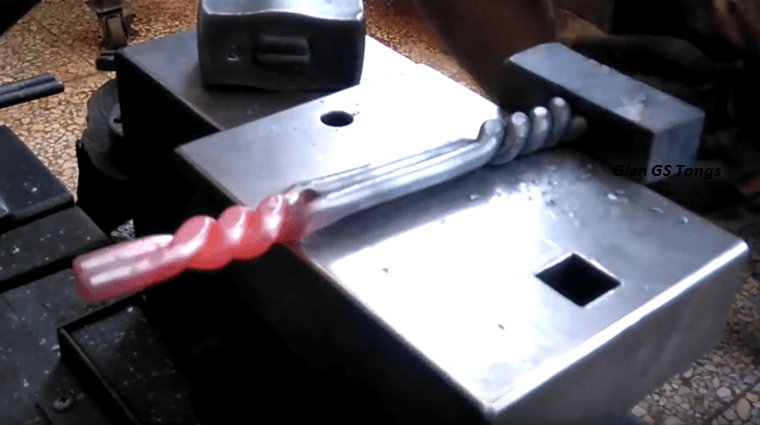 ← Blacksmith Basics: How To Correctly Punch And Drift A Square Metal Bar.